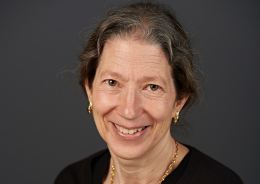 JASWDC Welcomes Abigail Friedman as Interim President – The Japan-America Society of Washington, Inc.
WASHINGTON, D.C. – The Japan-America Society of Washington DC is delighted to announce that the Board of Trustees voted to install Abigail Friedman as the organization’s interim president. Her term follows the retirement of former Society President John R. Malott. The Society welcomes Ms. Friedman’s wealth of experience in U.S.-Japan diplomatic and cultural relations and her exceptional contribution to the Society as a Trustee since 2014 and most recently as Board treasurer. Ms. Friedman is the founder and CEO of The Wisteria Group, an international consulting firm dedicated to expanding the international presence and effectiveness of business and not-for-profit clients. Before founding the Wisteria Group, Abigail served as a U.S. diplomat for over 25 years, including two postings in Tokyo. At the U.S. Embassy in Tokyo, she was special assistant to then Ambassador Walter Mondale and, in later postings, held the North Korea portfolio and was a member of the U.S. delegation to the Six-Party Talks on North Korea. Abigail’s considerable Asia experience includes serving as White House National Security Council Director for Afghanistan in the Obama administration and a civilian deployment to Afghanistan. Abigail’s other diplomatic postings include assignments in France, Portugal, and Canada. Abigail is also an award-winning haiku poet and author of several books on the subject, including a translation of the work of contemporary haiku master Momoko Kuroda. She received her B.A. with honors in History and Science from Harvard University and her J.D. from the Georgetown University Law Center. During Ms. Friedman’s term, a committee comprised of Board members will conduct an open search for a Society president. Marc Hitzig, the executive director of the Society, will continue to oversee the daily operations of the organization. The Japan-America Society of Washington DC is a 501(c)(3) educational and cultural non-profit organization dedicated to strengthening the relationship between Japan and the U.S. at the grassroots public diplomacy level. Our programming aims to bring Japanese and American people closer together in the Nation’s Capital area. For more information, please contact the Japan-America Society of Washington DC at info@jaswdc.org. Japan-America Society of Washington, Inc. Drawing on the unique resources of the nation’s capital and our long history, the JASWDC promotes friendship and understanding between Americans and Japanese through diverse programming that spans the educational, cultural, business, and policy spheres. Stay up to date with JASWDC programs and events. E-mail info@jaswdc.org with the subject line "Newsletter." © 2019 THE JAPAN-AMERICA SOCIETY OF WASHINGTON, INC.